The Hondata Coil Pack Retrofit (CPR) allows the use of 'coil on plug' individual ignition coils on engines with distributor based ignition systems (D, B, F and H series Honda engines). It does this by replacing the stock coil and ignition with an electronic circuit which can drive igniter type individual ignition coils, such as used on later model Honda engines. 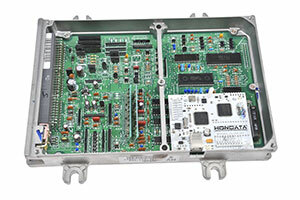 A Hondata S300 system and either European or US OBDI ECU are required. 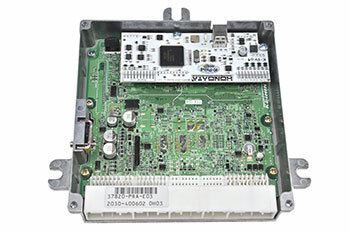 - European or US OBDI ECU (not included, can be supplied by CPL separately). - Hondata S300 system (not included, can be supplied by CPL separately). - Resistor plugs must be used. - The coils require a method of retention. B16A, B18C & F22A engines may use the stock plug cover. Other engines require an alternative method of coil retention (not supplied). - This is a race product. Cranking times may be increased over a stock ignition set up. - Does the CPR work with OBD1 JDM (square) ECUs? - Can I remove the distributor? - Is the CPR wasted spark? - What coils can I use? Any non-motorcycle Honda coil which has the larger style plug - most 2005-2009 coils will work. If in doubt CPL Racing can supply correctly fitting coils. - Does the S300 need to be modified?